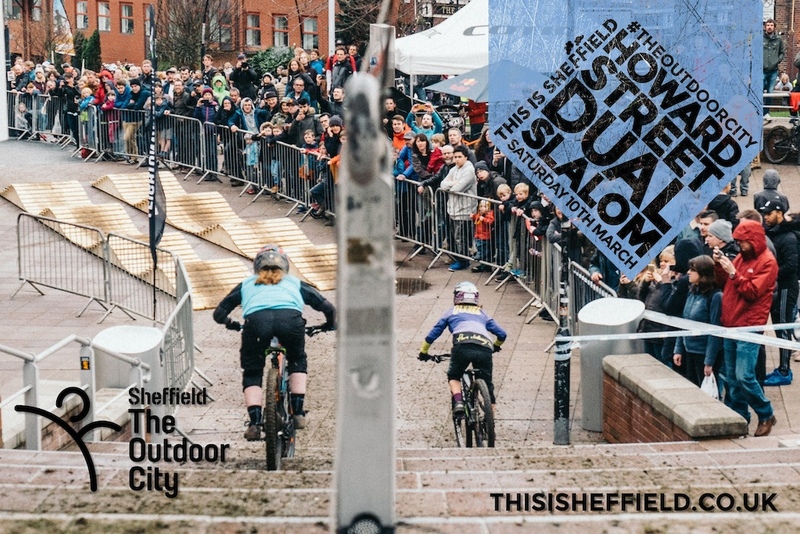 The ultimate form of head to head mountain bike racing returns to Sheffield City Centre from 17:00 GMT (18:00 CET 09:00 PST, 12:00 EST) to celebrate the Outdoor City Weekender. The devilishly difficult Howard Street Dual course will pitch the best riders against each other and the resulting spectacle will surprise and delight seasoned race fans. Finals will be at 19:00 GMT and to enhance the drama we will be racing in the dark; once the sun goes down the course will be lit up by Hope Tech Lumens making the elbow to elbow action even more entertaining. With a host riders from World Cup winners to local pinners, the scene is set for a great evening of racing. 32 men and 16 women will battle it out to be crowned champion through a series of nail-biting knockout rounds. Lining up this year are a host of well-known riders and just as many giant killers aiming to knock them off their perch. For the lads Sheffield’s own Steve Peat will be trying to go one better this year and get on to the top step where he’s stood so many times before. However, his 50:01 brothers will be doing their best to stop him. Josh Bryceland, Josh Lewis and Hardline winner Craig Evans, Sam Dale and Matt and Dave Hockenhull will be stepping up to create some on-track action at this year's event. Last year's winner, Airdrop’s, Brett Penfold and second place Ben Moore are back again to defend their crowns. Elite downhill pinner Jono Jones is making his way up from Woburn, too. 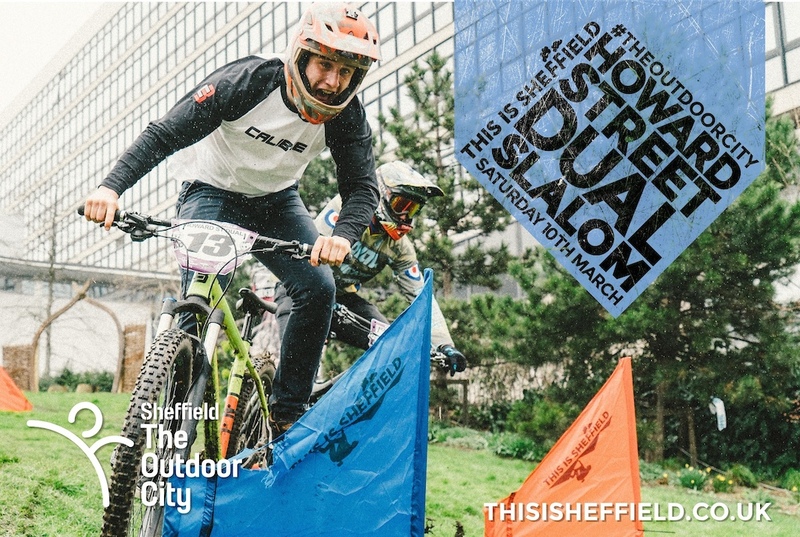 Team Cotic will be represented by the Rocket Man himself, James Swinden, who will doubtlessly be chased down by this younger brother and This is Sheffield Winter dual champion, Will Swinden, and Straightline Chay Granby. The challenge from the lasses is headed up by last years winner Carrie Poole who held her 4-month-old son aloft on the podium. She’ll be chased down by last years runners-up Anya Tolwinska, Ellie Dewdeny and Katy Thorpe. 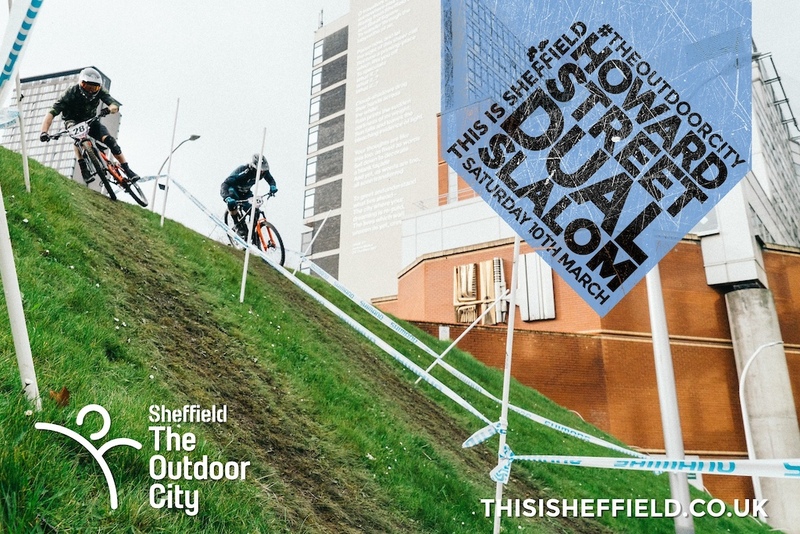 BMX superstar Chloe Taylor will be challenging for the top step alongside downhiller Becci Skelton. Join us for a Saturday night of thrilling racing presented by Richard Cunnyngham and Toby Parodi. The stream is now live! Why's it not started yet ???????????? They were meant to be crying emojis but I guess a ton of question marks works too. @l-JP-l: me too mate. What's going on. Blagged the big TV in the front room from the misses and everything. We're driving our numbers up by making everyone refresh the page over and over. Hope it starts working before the finals start at 7. Only another hour or so of refreshing to go! There seems to be a whole lot of waiting around considering it's a 30 second run. Not exactly exciting if you're Joe public standing in the cold watching nothing for the majority of the time. yeah. I just clicked on the replay. I clicked a few minutes in - no riding. Clicked a few more minutes in - no riding. Clicked eight more times, no riding on any of those random clicks... gave up. @iamamodel: same here. Seems like an interesting event, but they should cut the waiting parts away from the replay. My left ear loves this. Nooo, Peaty does a Les Gets!! Come on get the live feed going! I've got the beer ready for half an hour already! And it's 1:30 in the morning! I cut my ride short just to have a no show? nice one! so I guess this won't be showing anymore as it's highly unlikely they'll hold the event just because the online viewers can't see it. Shame. Sound off until they can verify he's removed the mic from inside his mouth. I hope the battery life on those Hope lights is good. Peaty should have won, he should have 1.5sec max on first run, but the other dude was 1.5max on second run, win goes to peaty......weird timing. Commentator said it was 2 secs max added. so if you add 2 secs to each heats winning time it ends up a draw. I suppose it must've come down to Steve having the slowest overall time after the cut rather than having the fastest single run time out of the two runs. Sorta makes some sense seeing as one lane was faster than the other. Maybe. So how did Peaty win when his times were slower? It makes no logical sense. I know right ?!!!!! That guy Brett won rd1 by like 20 seconds, then Peaty wins by like 2 seconds - then Peaty wins?? This makes no sense!!!!! @alexcgevans what's with these rules. @AlexJ23: Ugh, does anyone not know how slalom works? we've been doing it for 30 years, and another 60 on top of that in ski racing. In slalom, there is a MAXIMUM 1.5 second differential allowed, so if a rider crashes on first run, mechanicals, etc, the MAX time diff is 1.5 secs, its been this was from the dawn of time. SO peaty enters the second run with a 1.5 disadvantage. 2nd and final run, the other guy also fell, so they BOTH have a 1.5 differential, causing a tie, technically, and in the result of this-the rider who WON the final round wins. "(f) After the qualification runs, in the final heats, a rider may lose by no more than 1.5 seconds. This maximum differential applies to slow runs or penalties resulting from jump-starts, missed gates or other infractions. A rider who does not finish the run will be eliminated. (g) Ties in split times can be broken in the following ways: If overall times are recorded, the tie is broken by comparing the overall times on the course that both riders completed. If only split times are recorded the winner of the last run is the overall winner." The winner should be decided by overall time otherwise your winner is the guy who went slowest! Ugh!!!!! @stikmanglaspell: As always you are correct. The rule should read..
After the qualification runs, in the final heats, a rider may lose by no more than 1.5 seconds. This maximum differential applies to slow runs or penalties resulting from jump-starts, missed gates or other infractions. A rider who does not finish the run will be eliminated. @si-paton: Ok I get that bit, so Brett won the first round by 24 seconds (reduced to 1.5) and Peaty won the second round by 2.1 seconds (reduced to 1.5). So it's a tie. So then how do they work out who wins? Surely the overall time (best of 2 runs) should be the decider? As it says " If overall times are recorded, the tie is broken by comparing the overall times on the course that both riders completed." So not available in the US or not working for anyone? Soon....do they rides bikes at this "event"? Be well funny if some ungentlemanly cad turns up and pedals straight down the side of those wooden rollers. Wondering which tyres work best on wet grass and muddy concrete? Not exactly the most exciting mountain bike racing ive ever watched! Nice one, Just needed a few replays! So...does nobody make 4X bikes anymore? Who is spinning the house music? DJ ???? Sounds good! what the fruitcake is going on with the transmition? So the event is running but no live stream .. ! It's working on the Youtube app..
Is the link going to work today ??? What’s times it on ?